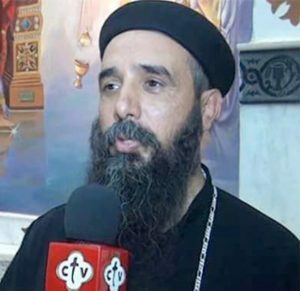 On 12 October, an attacker armed with a machete killed Coptic Orthodox priest Samaan Shehata (45) on the outskirts of Cairo. The priest was on a visit from his home in Beni Suef Governorate to raise funds for poor villagers. Fr Samaan ministered at the Church of St Julius Akfazi in Ezbet Girgis village, about 150 km south of Cairo. The village has approximately 3,000 inhabitants, of whom 2,000 are Christians. A security spokesman said the suspect, Ahmed Saeed Ibrahim (19), was mentally ill, but neighbours denied this, saying he was a Muslim who had been radicalised a year ago, when he began praying in the street, shouting loudly and calling Christians infidels. 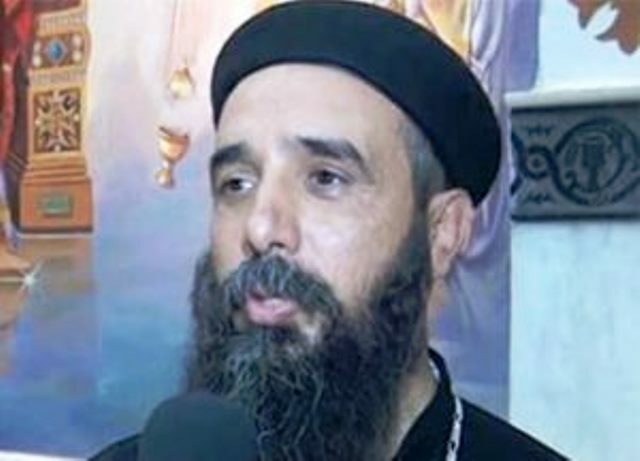 On the day of the attack, Fr Samaan and another priest, Beimen Moftah, visited a warehouse (a construction steel seller) in the El Salam area of Cairo’s El Marg District. The priests’ driver, Gerges Kamel, reported that when the priests returned to their car, Fr Samaan realised he had left his phone in the warehouse and got out of the car to go back and find it. The attacker stopped him and stabbed him in the neck and torso. The wounded priest fled into the warehouse. Security camera footage shows the attacker following with the machete (the screen grab, right, shows the attacker at the warehouse door in pursuit of the priest) and eyewitnesses said he finished the attack with several blows to the head. Security camera footage shows the attacker walking out of the warehouse. Fr Beimen confronted the attacker, but reports conflicted as to whether he was injured. It took an hour for an ambulance to arrive, and Gerges Kamel said Fr Samaan lived for half an hour and could have been saved. He also said the suspect was not mentally ill. People on the street and police who happened to be a few metres away captured the attacker, who is in custody. A preliminary autopsy reportedly showed the cause of death to be blows to the head with a long knife, causing a deep crack in the skull and internal bleeding in the abdomen. Local residents said on social media that Ibrahim was known for insulting Christians, picking fights with them and assaulting them. His neighbours told reporters that he lived in the area where he murdered the priest and was well-known for his devotion to Islamic jihad. There are currently 5 SMA missionaries in Egypt, plus one honorary member. The community leader is Fr Robbin Kamemba SMA. Your prayers for their safety, wellbeing and the success of their mission are gratefully requested.